C&IT's UK Conference or Congress of the Year award was won by Meet & Potato for its Dunelm Film Festival 2015, which was commended for creating an immersive and interactive brand-focused experience. This category wasn’t short of competition, but in the end it was Dunelm and Meet & Potato who won the top prize for an innovative two-day managers’ seminar, attended by more than 600 guests in the Ricoh Arena in Coventry. 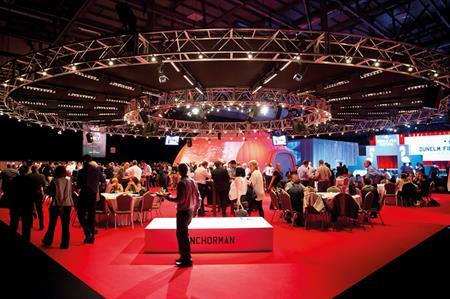 The agency transformed 5,000m2 of hall into a cinematic experience, with delegates invited to collect their event tickets and programme from the box office, and enjoy VIP catering as they waited for the official opening of the festival. Key messages were introduced through a show-stopping opening video, crafted from film excerpts. Delegates spent time in interactive customer- and product-focused sessions, and the day was topped with an Oscar gala dinner and awards ceremony. On the second day, the company introduced a themed film studio, bringing to life retail operations. Post-conference feedback gave a 93 per cent satisfaction score, with delegates claiming that it was one of the best events they had been to, offering employees a real sense of achievement.